Large State Association category: Ohio Campground Owners Association. 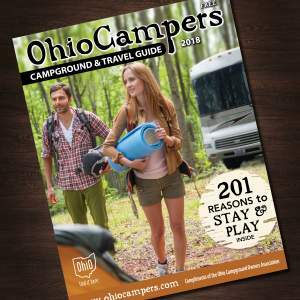 The Ohio Campground Owners Association is proud to announce that the 2018 Ohio Campers Magazine was awarded as best statewide campground directory by the National Association of RV Parks and Campgrounds (ARVC). The National Association of RV Parks & Campgrounds (arvc) recognizes the achievements of top private park operators, state associations and industry volunteers.